Graphic design, video editing, and photo editing require a right amount of horsepower with well-balanced specs. If you work in these fields, you need a monitor that gets the job done well. You have to be observant while choosing such a monitor. You can also find some useful gaming monitors here. When it comes to gaming, you have to look for a monitor with adaptive sync, good refresh and response time ratings and a resolution that you’d like. And that’s pretty much it. In this case, however, we are dealing with heavy graphics work and with long durations on the system. With that kind of requirement, choosing can become difficult as you can go and swipe your card to get a monitor that is a ‘professional’s choice’ by marketing standards, but if you observe carefully, you can find monitors better suited for your tasks at much lower prices. 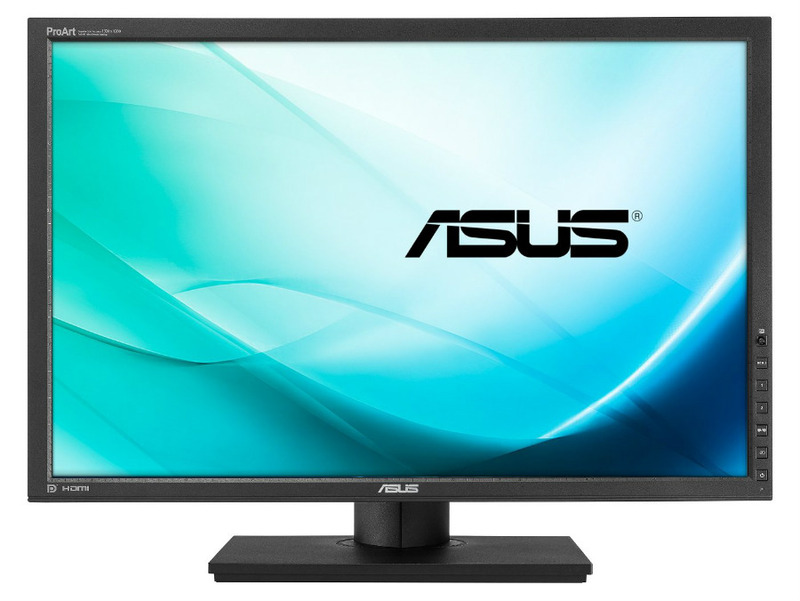 Many displays in the market can compete with expensive monitors like the NEC monitors. In editing, we need an excellent color accuracy and sharpness, a good speed behind it, a panel type that supports the best features and something to reduce the eye strain. We need a good screen size that shows colors as they would appear in real life. Let’s talk about some of these things first. We will follow that up with three choices that you can go for: at entry level, at an intermediate level, and as a professional. What Panel type to choose? This is probably the first thing to look for if your purpose is editing and graphics work. This is because the most commonly used panel nowadays is the TN panel, but it has a lot of disadvantages for this kind of work. The advantages of this panel is a low 1ms response time at cheap rates which makes it a boon for competitive gamers. But on the other hand, TN panels have the least amount of color accuracy as compared to IPS and VA panels, and this is made worse by a limited range of viewing angles. If you watch the images on the TN panel at wide angles, colors tend to wash out and distort – not precisely what you would want in editing. They operate with 6-bit color reproduction instead of true 8-bit color reproduction (like the IPS panels) and that lowers the shade spectrum per color. If your GPU has a 24-bit color range, TN panel is far from good to being used for this kind of work. What you should be looking for is an IPS panel (or its variants like S-IPS, E-IPS, H-IPS and more, and AHVA panels). Most IPS panels have 8-bit or 10-bit support with FRC (frame rate control). This makes them able to produce 16.7 million to 1.07 billion colors. On top of that, they have wide viewing angles, with most IPS panel monitors having 178 degrees by 178 degrees (horizontal and vertical). After this, you need to have a look at the panel coating, which could either be matte or glossy. A glossy one often comes with a layer of protective glass. These leave a terrific impact on you if you are watching media, as the colors on glossily finished panels appear to be somewhat more vivid and profound. However, a glossy finished panel has one significant disadvantage, that is, its reflective nature. It will reflect the image of whoever is in front of it, along with the output. This can get distracting and cause more eye fatigue. If you are planning on working in a bright room, it is better to get a matte finished screen, which absorbs this light instead of reflecting it and works better in that way. Less glare, less eye fatigue. Size is a significant factor, mainly because you need things to be big and nice. A size more than 24-inches is recommended. A larger size means that you can multitask quickly, maybe apply a screen split, keep an eye on different things and you do not have to be glued to the screen at all times to pay attention to details (or keep on zooming into things). An aspect ratio that is 16:9 (most commonly used) or more will serve you well. Resolution is the number of pixels mounted on the screen, and it is recommended that you have a minimum of 1920 x 1080p resolution for a 24-inch display for this kind of work. The minimum requirements increase to 2560 x 1440 p for a 27 inch and 3840 x 2160p (or 4K) for a 32-inch display. The more resolution you have, the more sharpness you have to the images. It is also recommended that you use LCDs at their ‘native resolution,’ as it is where they work best. Color gamut is the complete spectrum or range of available colors on display. In simple terms, you should be able to see the same number of colors on a monitor that your camera can see during shooting/photography. The sRGB color gamut, which is very widely used in monitors has less range than the Adobe sRGB gamut. For professional editing purposes, you need to go with a monitor that supports a wide gamut RGB (also known as extended gamut). These might be more expensive than the rest, but these get the job done. And for every other editing purpose, you can still make things work with a 99% or more sRGB color gamut coverage. While most displays already come pre-calibrated for photographic use, opting for one that has calibration options is always a good idea. You can tweak things around and achieve an amount of perfection that you need. 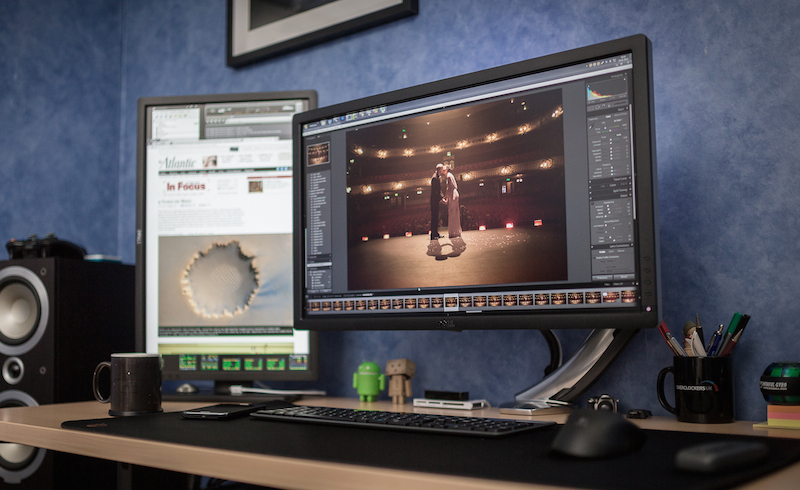 In this way, a monitor becomes task-specific, and you can be as creative as you want. Datacolor S5X100 Spyder5EXPRESS with Argyll and DispcalGUI is an excellent idea. Now, let’s have a look at the three categories of several monitors we would recommend. You have entry level, intermediate level, and high-end options to choose from depending on your budget and needs. We will be briefly looking into the key specifications of these displays to see how each one compares when considering their price points. If you are on the verge of opening your very own start-up studio, a work-at-home freelancer or a hobbyist, consider getting an entry-level offering which provides you with specific capabilities at a wallet-friendly price. The products listed in this category do have compromises, but their price tags make it easy to look away from the feature-cuts manufacturers had to make to bring you the best they can offer at a low price. One of the key specs of this 24.1 inch, A+ IPS matte coated display is the 100% sRGB support. As we already said before, wide gamut displays have extended coverages reaching into other color standards such as Adobe RGB, but the next best thing to that is the 100% sRGB. Getting that with a 10-bit (1.07 billion) color support, a 6ms response time and a maximum resolution of 1920×1200p (making its aspect ratio to be 16:10); this is probably the best entry-level editing monitor that you can get. 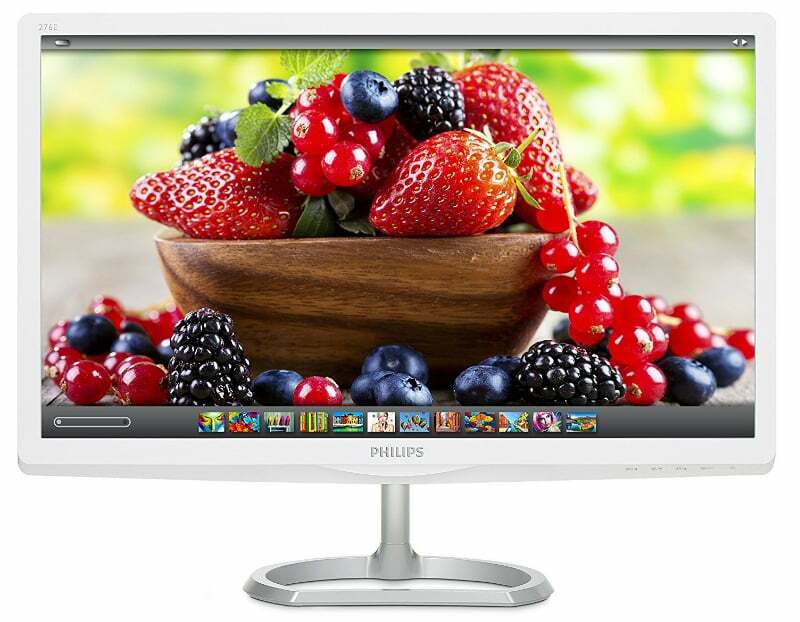 The Philips 276E6ADSS looks obsolete by today’s standards, but this cheap, shiny white IPS monitor is one of our favorites thanks to its quantum dot technology and 99% coverage of the Adobe RGB gamut. The screen includes a medium matte anti-glare treatment that almost borders on being semi-glossy, but it doesn’t affect the vibrancy or add graininess to the product. At this price range, the 276E6ADSS’s color saturation and accuracy are largely unmatched, even if you have to live with its native 1080p resolution. This product, however, is incapable of switching to sRGB modes so its applications are somehow limited since you can’t downplay the color output for typical usages such as movie watching. Still, getting a sub $250 display for your Adobe related artistry isn’t so bad. The BenQ PD2700Q is an affordable display product that does not excel at color accuracy singularly, but instead, the gadget can be considered as a swiss knife type of monitor. It still has full sRGB coverage making it suitable for entry-level editing, but the PD2700Q also excels in other creative applications like CAD, CAM, and other 3D animation applications. The high-quality IPS module includes a matte anti-glare treatment which doesn’t affect imaging, although upon close inspection the pixel gaps become noticeable. 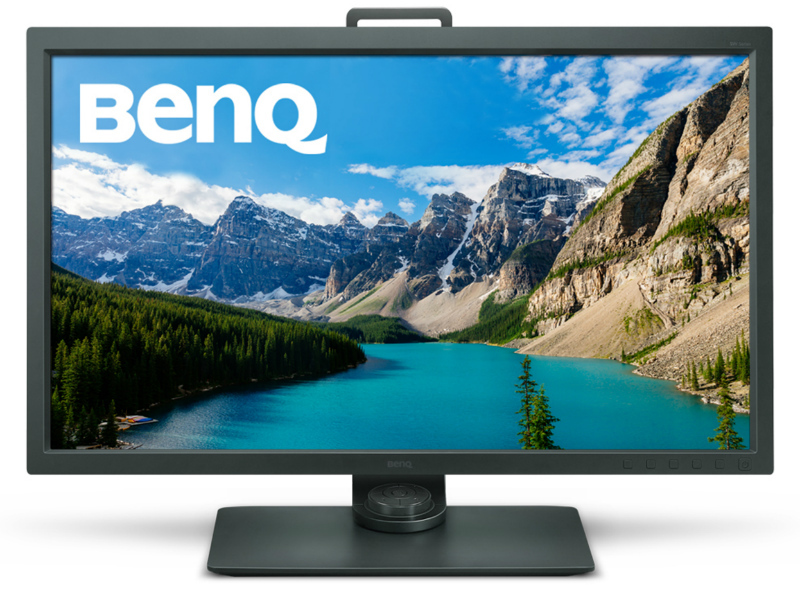 BenQ imbued a powerful OSD into the PD2700Q, so you get a plethora of tweaking options to maximize performance. The ViewSonic VP2468 is a simplified solution for aspiring designers and start up studios by offering accurate color representation in an affordable package. This model comes factory-calibrated to provide an output with minimal vibrancy errors, but it can also be maximized via its hardware calibration enabled 14-bit LUT. Aside from the typical sRGB, the ViewSonic VP2468 also comes with filters for EBU, SMPTE-C, Rec709, and DICOM SIM which are all broadcast standards for different applications. Each one is pre-calibrated and built into a flexible and functional chassis that we have come to love from the brand’s products. These monitors offer a wider variety of features at a middling cost, so you get the best performance per dollar ratio from these models. There are a few missing gems in each model’s spec sheet, but that makes their specializations shine even brighter for the meticulous, but budget-conscious professional. 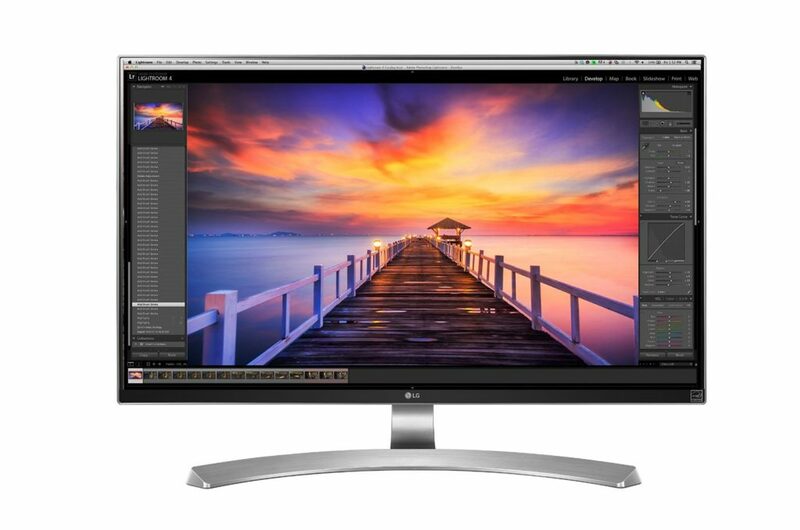 Mac computers are popular with editing professionals, so the LG27UD88-W is a perfect product which offers fantastic image reproduction in a USB-C-compatible package. This IPS model is factory calibrated to have 99% sRGB coverage which results in vibrant colors and excellent grayscale performance shown through a high-quality medium matte coated 4K IPS panel. Tweaking is easy thanks to LG’s “On-Screen Control” feature, which enables your mouse and keyboard to navigate the OSD. All of these features are wrapped in a classy, silver and black exterior which makes the LG27UD88-W your best mid-range bet for your Mac or MacBook editing devices. 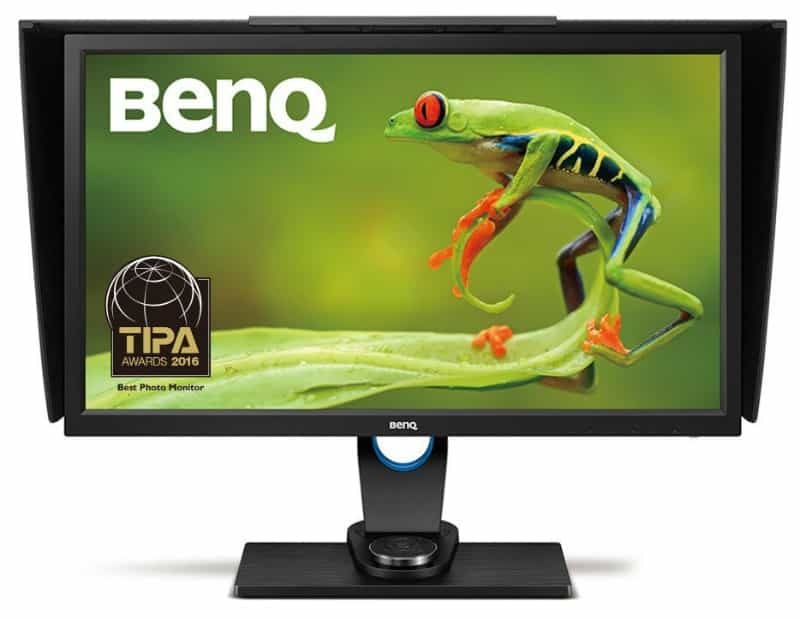 The BenQ SW2700PT is the complete upmarket variant of the PD2700Q above since this product now includes full Adobe RGB coverage and a 10-bit LUT equipped IPS with matte AG coating for eye-popping color. This model is factory-calibrated, so tweaking and colorimeter requirements are greatly reduced. The IPS panel is capable of crisp images without oversaturation and posterizing, plus it is wrapped in an ergonomically functional exterior with nifty accessories such as the USB hub and a shade hood for maximum focus. 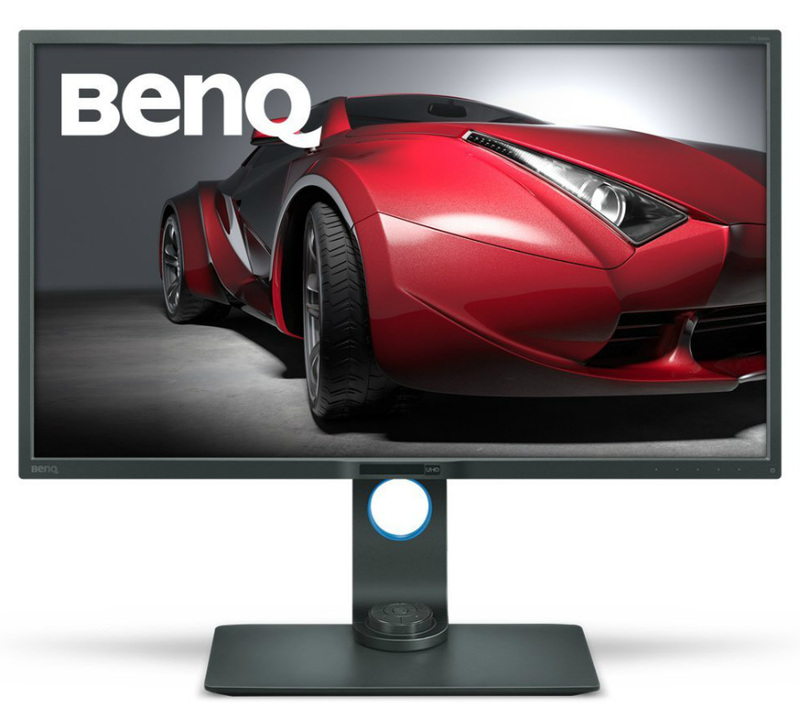 The BenQ SW2700PT’s value is unmatched since it offers fantastic specs you can typically find in products with four-digit price tags. The ViewSonic VP2772 looks like a prehistoric flat screen on the exterior, but its performance is surprising, especially in this category. Out of the box, the VP2772 looked bland and dismal, but once you activate its included sRGB and Adobe RGB modes, Delta E drops to around 1.3 to 1.5 providing accurate color and gamma which is fantastic for editing applications. The 10-bit IPS light matte coated panel has access to a 12-bit engine and 14-bit LUT, so you are assured that your creations are as colorful and vibrant as can be, even if you miss color calibration features. 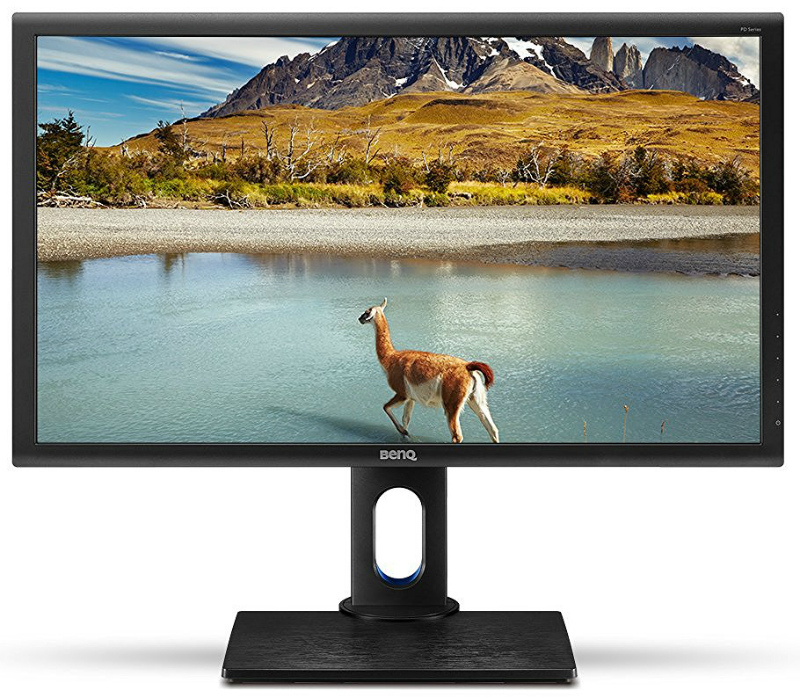 The BenQ PD3200U is the swiss knife of the monitor world with its perfectly accurate screen which is fantastic for photo editing while having features for CAD creators and animators. The 32-inch 4K screen provides a vast space for your artwork, plus it lets you enjoy crisp and sharp visuals in all types of usage. The functionalities in this monitor aside from its ridiculously good exterior include filters for Rec.709, CAD/CAM, and animation which extends its versatility beyond photo editing. After a hard day’s work, the BenQ PD3200U becomes an excellent casual enjoyment monitor thanks to its low input lag of only 11ms. 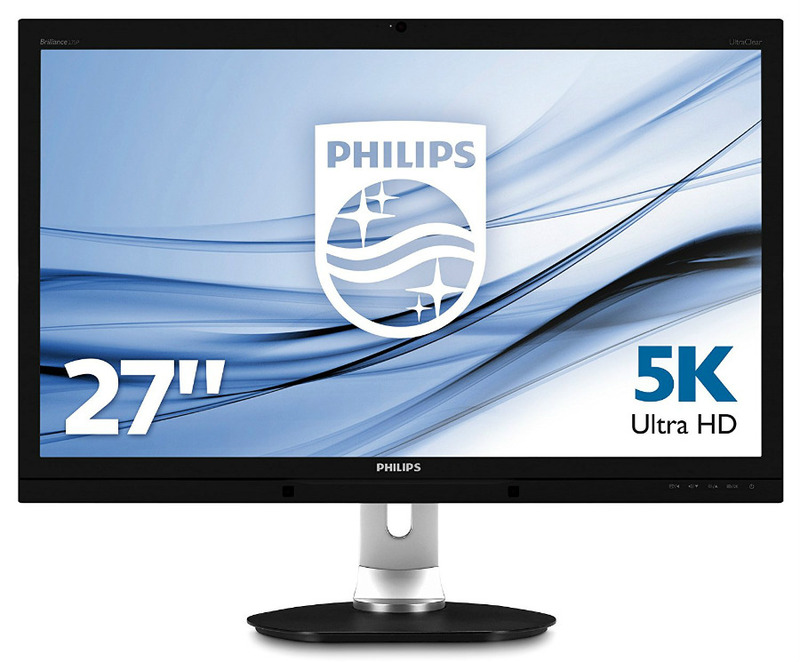 The Philips 275P4VYKEB is one of the most practical 5K monitors for having a decent price point when compared to similar models. The 5120 x 2880 screen creates an extremely crisp image while offering comprehensive sRGB, Adobe RGB, and DCI-P3 coverage with supreme accuracy. Philips factory-calibrated this model, and we were surprised that on each color standard listed, the Philips 275P4VYKEB performed within DeltaE .1 of the specified scores. If you are in the market for a fantastic 5K monitor for plug and play use, this model should be a top-tier choice. If you are looking for the best the market has to offer without having to ask for two grand or more, these products are your best bet to upgrade your flourishing business or career in photo and video editing. These three models are some of the most sophisticated monitors you can buy for your hard-earned cash, and looking elsewhere might hurt your budget even more. 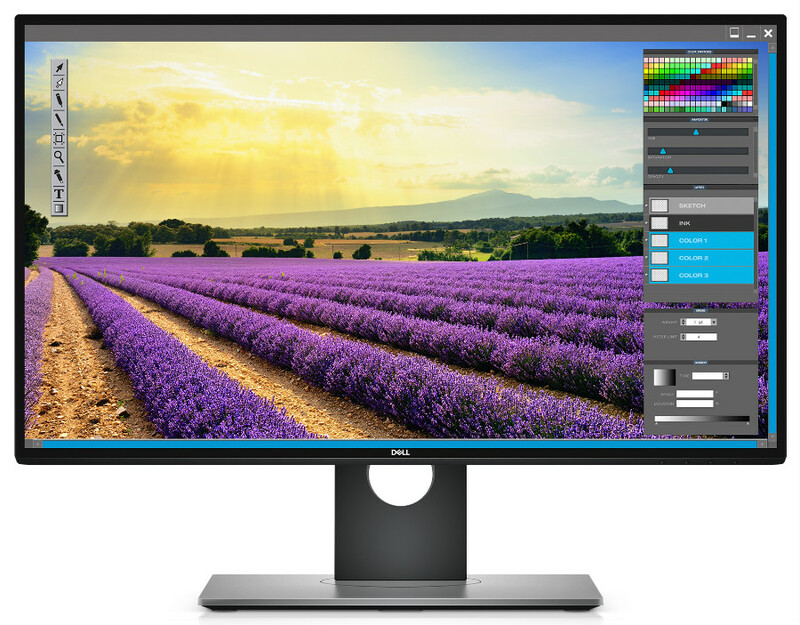 The Dell UP2718Q is one of the first true HDR monitors out in the market thanks to its 1000cd/m2 384-zone local dimming array. This HDR monitor is well versed in Adobe RGB, sRGB, DCI-P3 and Rec.2020, effectively covering today’s meticulous professionals’ needs in color standards. Aside from the timeless and robust design, the Dell UP2718Q is factory calibrated to achieve excellent accuracy and contrasts which can be further improved with a colorimeter. If you want to work on HDR content or play HDR compatible games after hours of work, this premium monitor is the current best in the market. 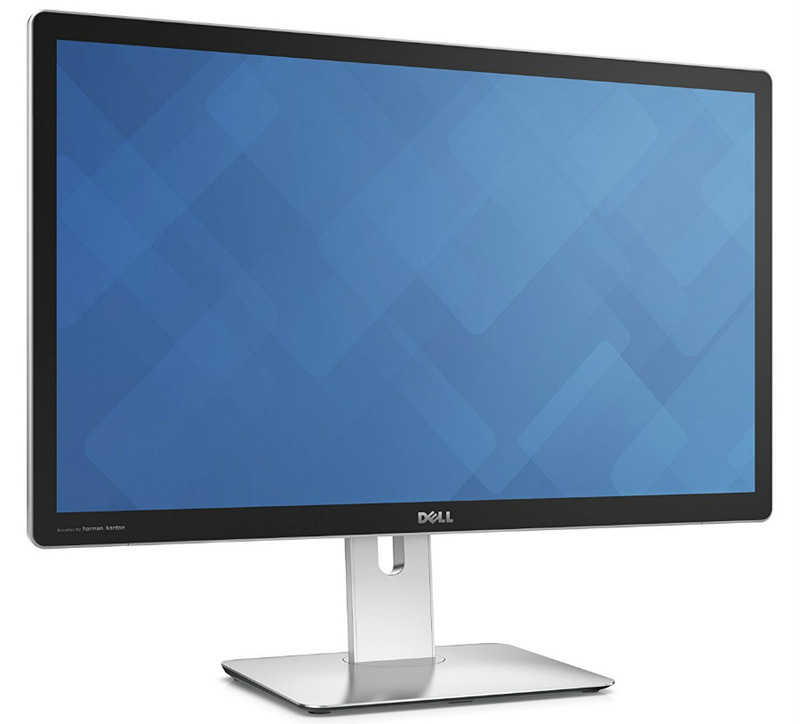 The Dell UP2715K is one our favorite professional monitors since it packs a jaw-dropping 5K resolution in a subtle, but robust package. Editing photos and videos is a pleasure thanks to the product’s 99% Adobe RGB and 100% sRGB coverage, made possible by the high-quality 10-bit IPS panel with a 12-bit LUT and a 3H hard matte AG layer. Screen uniformity is excellent across the whole panel, so grayscale performance is superb while blacks appear oily and whites are clean. The sRGB and Adobe RGB modes already provide a fantastic performance, but the UP2715K was designed to be compatible with calibrators via Dell’s software and an X-rite Pro Colorimeter. The eye-popping level of detail and color fidelity is viewable through a borderless face with an edge to edge design, providing artists and professionals with a distraction-free visualization of their beloved work. 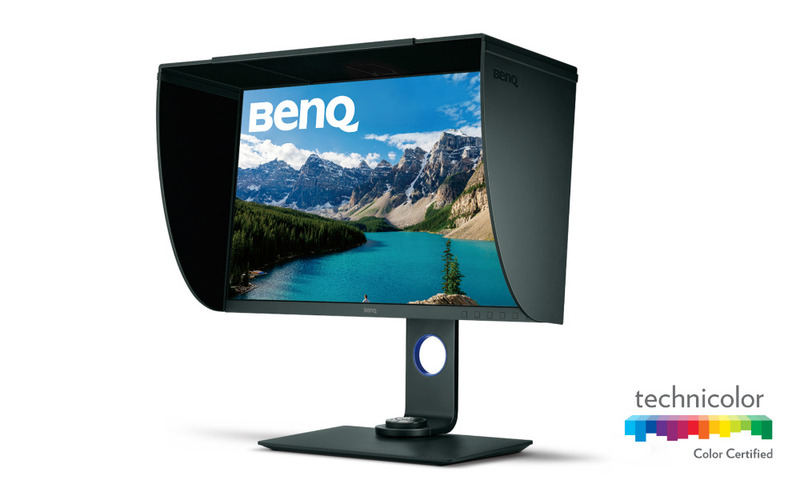 At first glance, the BenQ SW320PT looks like a mighty gaming monitor just like its cousins from the XL series. However, this model is BenQ’s flagship professional IPS screen and is one of the first products to offer HDR capabilities. The true 10-bit matte coated IPS panel has access to a 14-bit LUT, while performance certifications include 87% DCI-P3 Standard, 99% Adobe RGB, and 100% sRGB coverage. For your confidence, the BenQ SW320’s HDR-compatible performance is certified by Technicolor, a governing body responsible for strict accuracy standards which are suitable for movie-making or editing in Hollywood. However, the SW320’s sophistication extends further since it is colorimeter compatible with gadgets like the Datacolor Spyder and the X-rite Pro devices, even if the product ships out already pre-calibrated at the factory. At its current asking price, the SW320 is hard to beat, and if you want more, you are looking at spending twice or thrice for an even better professional monitor for photo and video editing. The BenQ SW271 adopts the SW line’s distinct and functional formula of ergonomics and high-end specs which makes these products attractive to meticulous professionals. But this time around, this new offering comes with a bezel-free face which gives the screen an endless appeal. The chassis is built like a tank but flexible enough to cater to varying postures, plus BenQ included unique accessories such as the shade hood and the OSD puck. Performance is brilliant as well since the BenQ SW271 can dish out 100% of the Adobe RGB gamut via its 10-bit IPS screen with a 14-bit LUT with commendable accuracy and clarity which is highly ideal for professional editing. From the box itself, the screen is crisp and extra vibrant, so our attempts at calibration did little to improve the output save for some minor errors. This monitor means business when it comes to image quality, but its 10ms input lag is brilliant for gaming on the side. The Dell U3818DW is an fantastic choice if you want massive screen space for continuous work flow without sacrificing imaging fidelity. The 3840 x 1600 screen with its full 8-bit interface puts out 100% sRGB with a stock accuracy of 1.38, meaning this model is ready for work as soon as you plug it in. The Dell U3818DW’s extensive tool set maximizes its rich I/O and massive screen by allowing multi-input use from up to three or four different sources. 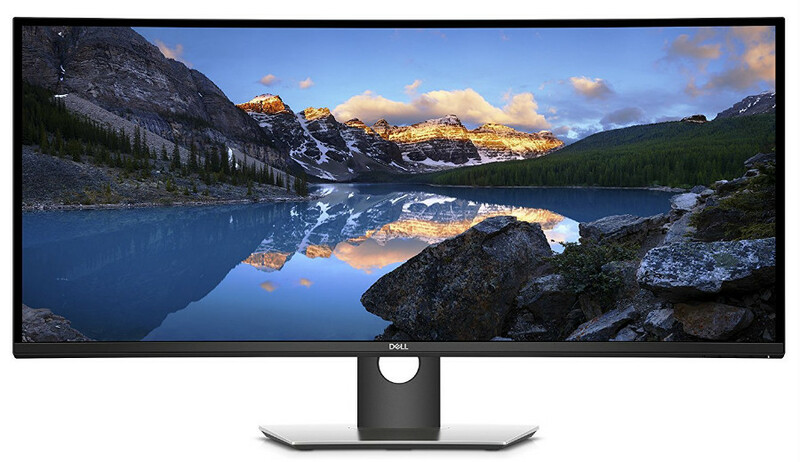 If multitasking, reliability, and excellent quality comes to mind when shopping for an ultrawide professional monitor, the Dell U3818DW is a great choice. I’m getting a little crazy about the choice stress. 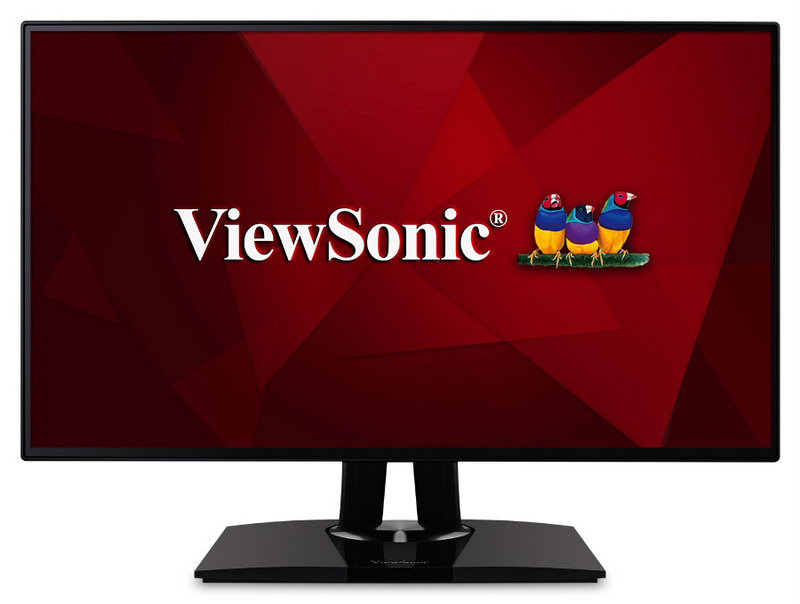 Do you think the Viewsonic VP3268-4 k a good choice that can compete with LG, BenQ, HP etc. etc.? Hi, Marco! 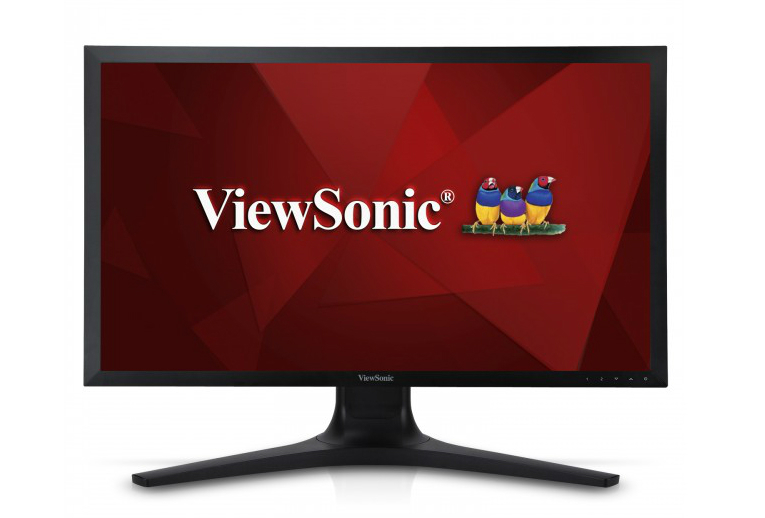 ViewSonic’s monitors are one of the most underrated products in this category. The VP3268-4K is just as good as its closest competitor, so you won’t be disappointed. Cheers! EXCELLENT REVIEW.. THANK YOU GUYS. You are welcome, ROSHAN! We’re very glad you like our work. Cheers! Hi. What a presciuos review! Have added it to my favs in browser. I have Acer Predator XB271HU and i am so happy with it. I enjoy retouching photos by myself, though i have lately made some progress, every new picture is a challenge for me, coz they are never the same. Some are poorly lit, some need skin retouching, etc. Absolutely brilliant article. Narrowing it down like this definitely makes research much easier. You’ve listed many interesting and amazing monitors, but I think there’s one monitor that’s been missed from this list. The Asus PA329Q. It doesn’t just hit the 32″ / 2160p / 99.5% Adobe RGB / 90% DCI-P3 / 10bit (14bit LUT) mark. It’s very thin bezel makes it quite a bit more attractive than others, and it’s also slightly better priced than others in that same top-tier bracket. Awesome bunch of reviews though. Definitely one of the better summaries that I’ve come across for professional grade monitor recommendations! Hey Clint! Thank you for your suggestions and kind words. The Asus PA329Q is definitely up there with these monitors, so we will consider adding it via an update. Cheers!